Tri Color (silver, gold and rose gold) Disco Ball Link Chain Brass Bracelet. This bracelet is 7 1/2" long and .25" wide. 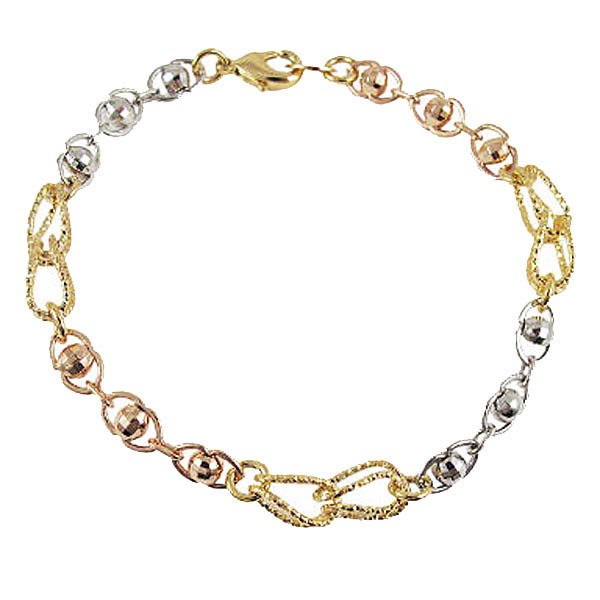 - Tyler-Adam Corp.
Tri Color (silver, gold and rose gold) Disco Ball Link Chain Brass Bracelet. This bracelet is 7 1/2" long and .25" wide.